Alabama remains a 6.5-point favorite over Clemson. After the jump are the complete list of prop bets from Bovada. You either love them or hate them. There's no middle ground when it comes to discussing Alabama's program, which has been on an elite level since Nick Saban came to Tuscaloosa. 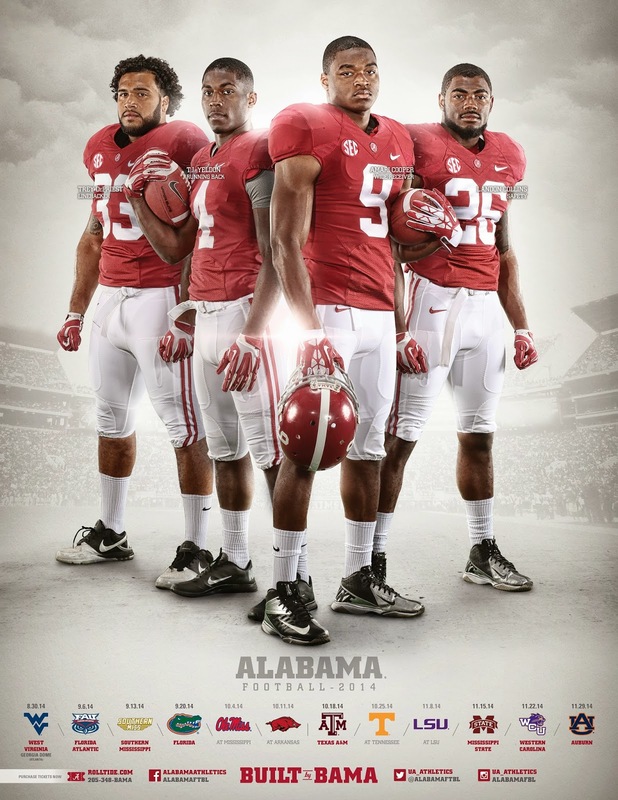 The Crimson Tide, who open against Wisconsin, will be in the thick of it again this fall. 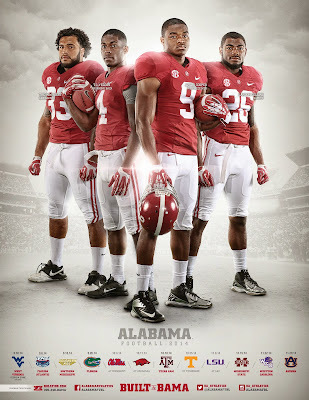 Poster created by Crimson Tide Productions. Has Texas hired Nick Saban yet? The broadcast team at Bama Tide Radio calls the final play of the 2013 Iron Bowl. Simply put, the gold standard. Alabama is the team the college football world has been looking up to for three of the past four years and it's unlikely that will change in 2013. After a Sept. 14 game at Texas A&M, the Crimson Tide play seven of their final 10 regular-season games at home.